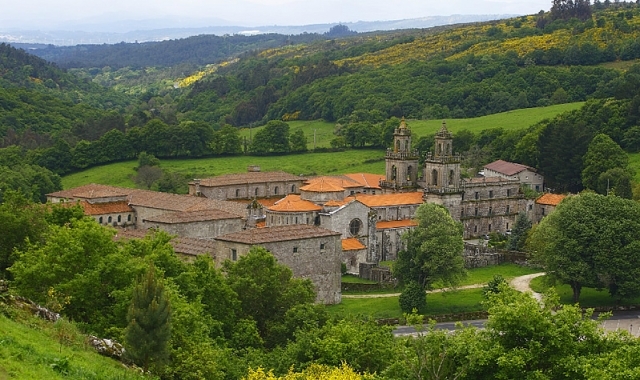 On this days journey walkers will have to choose whether to continue the Camino from Cea, on the official route, or to go on a variant route that leads to the monastery of Oseira, a magnificent monument considered by many to be the Galician Escorial. This alternative involves an extra five kilometres, with steep climbs and continuous slopes, although its beauty serves as compensation. This journey begins in San Cristovo de Cea, close to the N-525. The route reaches Forno de Lodairo. Afterwards, among trees one of the best Galician stretches on this Camino of Santiago arrives. It is possible, after periods of heavy rain that walkers will have to face very muddy sections. From here pilgrims reach Silvaboa, Pieles and Pena Veidosa, from where there still remains 2 to 3 kilometres to reach Oseira. The route heads to A Ventela, walkers however, continue the Camino and arrive at a majestic fountain. Before reaching the monastery, the river Oseira is crossed, bordering around the modest albergue and it leads to a street with bars and a fountain. Difficult slope An abrupt steep climb on cement, but at the top, one of the best views of the monastery can be seen. Passing through Vilarello, Carballediña and, Outeiro de Coiras. Through the province of Pontevedra Continuing upwards walkers reach A Gouxa. Passing through one of the most impassable sections of this stage, on a very muddy and wet path. This path leads to Bidueiros and later descends towards Castro de Dozón. Those wanting to continue towards Piñor can either begin the Camino on the route that also goes to Oseira (ascending on rúa Lodaira and, on reaching a crossroad for both routes continues to the left) or they can begin the hike on Calle Calvo Sotelo and continue from there. After arriving at Porto do Souto, Cotelas, with services for walkers. Pilgrims continue downhill to A Mirela and to Piñor to later pass through Albarona, Fontelo and Arenteiro. 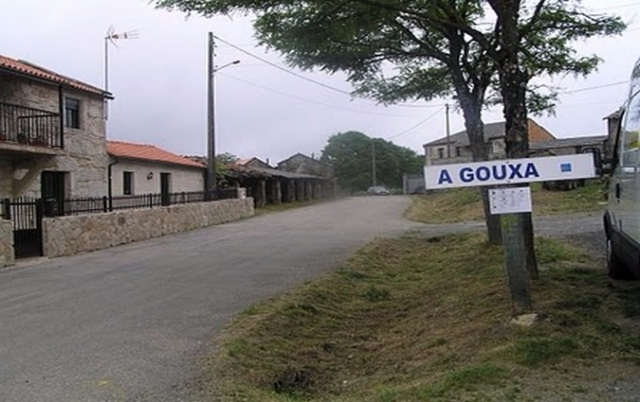 In this hamlet they will find the bar Ojea, where they can have a rest. Apart from this establishment there are no other services. Cross the OU-154 to reach the N-525. After the climb walkers cross the motorway by a bridge and continue the itinerary on the OU-0403. Now close to Castro de Dozón. On the stage only one descent remains, a lot more pronounced than the previous climb. On the variant route from Oseira there are some sections that cause great difficulties for cyclists. Those heading towards Piñor will only encounter one difficulty, that of the climb before Piñor. The majority of the journey is on asphalt. 2 reviews Distance to Santiago: 80 km.